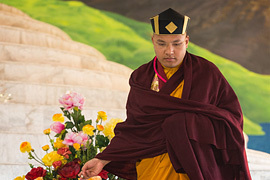 THE NINTH GYALWA KARMAPA, Wangchuk Dorje, was heard reciting mantras in the womb. 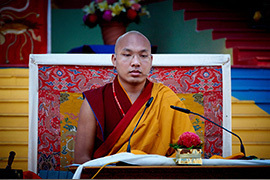 He sat cross-legged for three days soon after birth and declared he was the Karmapa. 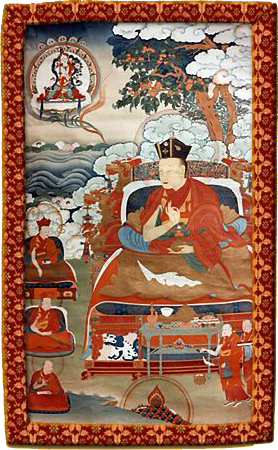 He was soon recognized by the Tai Situpa, who was staying relatively close by, and a year later by the Shamarpa who enthroned him at the age of six. 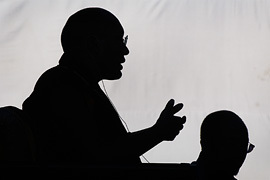 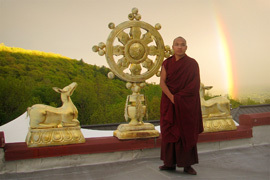 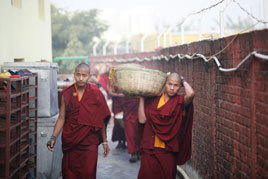 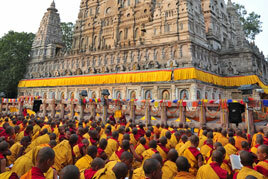 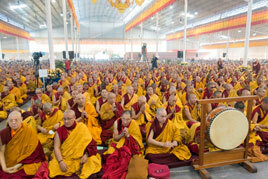 Much of his life was spent in a travelling monastic camp, in which strict emphasis was placed on meditation practice. 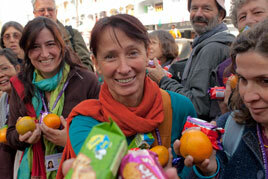 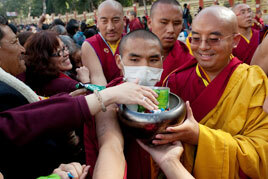 His itinerant party received invitations to visit many places. 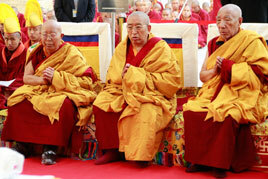 They were unable to visit China, but made important trips to Mongolia and Bhutan. 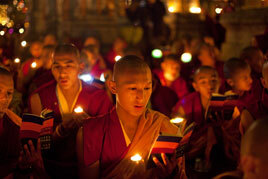 Wangchuk Dorje gave many teachings in southern Tibet and restored monasteries and temples wherever he went. 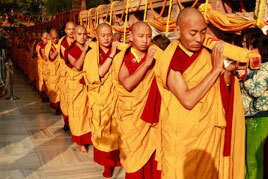 He also received an invitation to visit Sikkim. 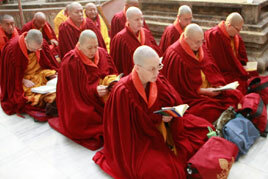 Unable to go himself, he sent a senior representative who established three monasteries there. 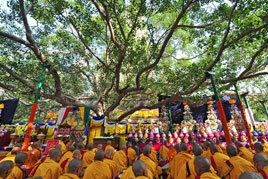 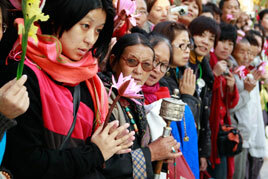 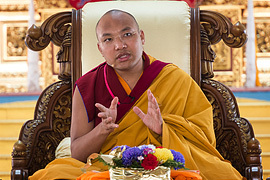 The Karmapa blessed and consecrated them from Tibet. 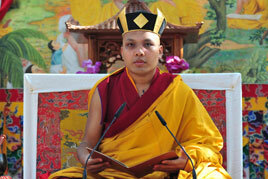 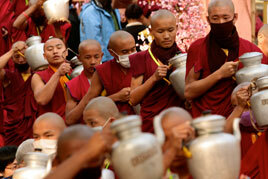 One of them was Rumtek, the present seat of the Karmapas in India. 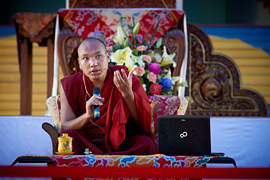 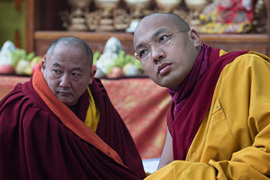 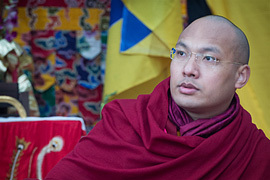 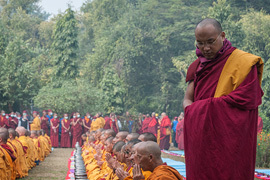 Karmapa Wangchuk Dorje was not a prolific author but several of his texts, such as Mahamudra, The Ocean of Definitive Meaning and Mahamudra, Dispelling the Darkness of Ignorance, have made an important impact on the teaching of mahamudra. 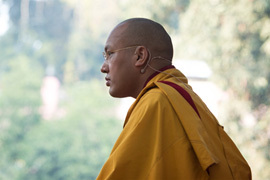 He and the next three Karmapas all played the role of peacemaker during the troubled political times in which they lived.